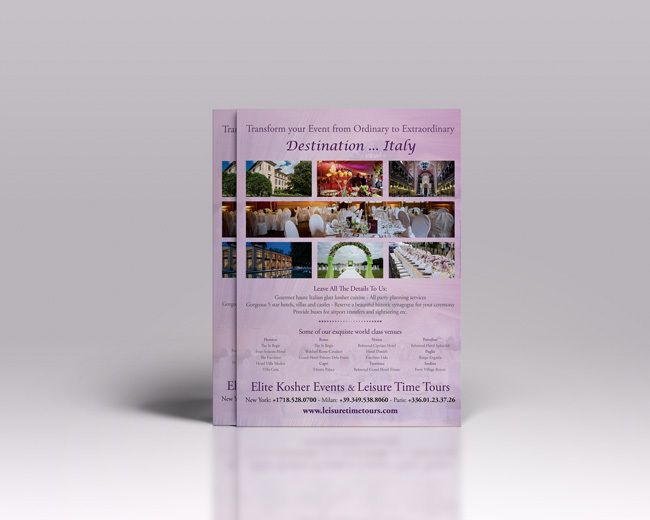 Elite Kosher events is a partner of leisure time tours, and organise events in Italy and the US. 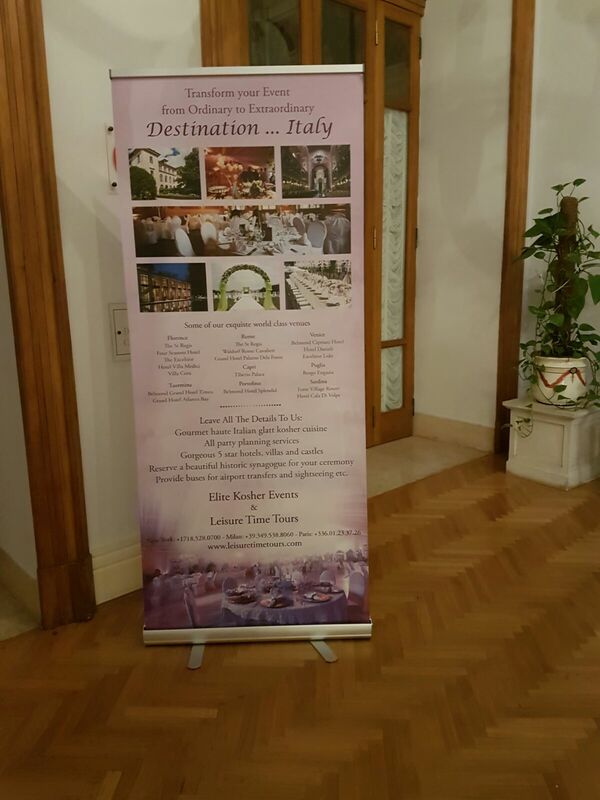 I had a pleasure working with this compagny in order do the roll-up design, the ad layout on basis of the same design as the roll-up, and even an html newsletter for an email blast. Click here to view the e-newsletter design in the browser.